Just Sold: Monarch Pointe Views Galore! 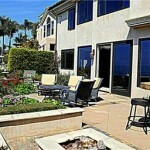 Home » Home Sales » Just Sold: Monarch Pointe Views Galore! Just Sold: Another distinguished Orange County home listed by top OC realtor Cheryl Marquis! 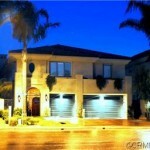 This gorgeous Monarch Pointe residence featured 3 bedrooms, 3 bathrooms and a bonus room. Over 4,200 square feet of graceful elegance and polished lines that created a dynamic interplay between interior and exterior spaces. The sweeping ocean views from Three Arch Bay to Palos Verdes and the amazing Catalina sunsets astounded the happy buyers. Inside, the exclusive custom-built home featured a handcrafted wrought iron staircase, spacious living and dining room, and comfortable casual family room with custom built in cabinets and entertainment center. The gourmet kitchen had a large center island, granite counter tops, dramatic lighting, top of the line appliances (including dual dishwashers! ), walk-in pantry and gorgeous cabinetry. Perfect for hosting large family meals! Stroll up the staircase to the dramatic master suite complete with a separate sitting room/office/library/exercise room. This spacious suite has forever views, an oversized master bathroom with dual vanity sinks, Jacuzzi tub, and his and hers walk-in closets with built-in cabinets. Outside, the rear yard boasted a casual dining space with a built-in BBQ and firepit. What’s more, the HOA center is complete with 2 Jacuzzis, tennis courts, and more barbecues for additional entertaining. In fact, the clubhouse can be rented for parties up to approximately 150. Cheryl worked tirelessly with her sellers to find the perfect buyers for the home and got the incredible selling price of $2.4 million for her clients. 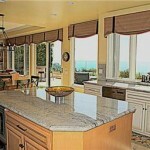 If you’re interested in living the OC lifestyle in a beautiful custom home like this one, contact her today.